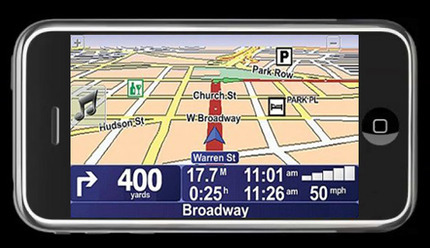 Smarter and better than its predecessors, an updated TomTom app for iPhone is working its way through Apple’s approval processes. Should be out in the next few months and if you use the iPhone’s TomTom app this update should be something to look forward to. 1. Lane guidance: giving drivers extra clarity when navigating difficult junctions. Available in both portrait and landscape orientations.Helpful considering that this must be one of driving’s most stressful moments. 5. iPod player control ensuring drivers can conveniently control their music from within the application. Existing app owners will get this upgrade for free. are you kidding me? TomTom for the iPhone is terrible. a complete waste of money. the fact is, the only thing that is on the screen, no matter where you travel, is the message that they cannot find GPS service. Since I do some work w/ TomTom, I can also clarify that the price for the iPhone app in the U.S. is $99.99.